This photo was taken the same day as the one I shared yesterday for Wordless Wednesday. 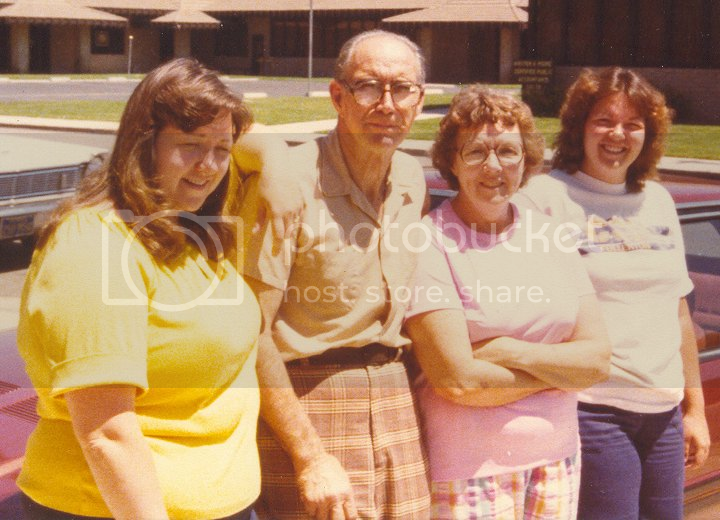 It was taken in July 1979 when my good friend and I came home to pick up my first-ever brand new car, the 1979 Mercury Capri Ghia that my sister (left) and parents (check out those snappy plaid pants) are leaning on next to me (with a seriously bad perm). This is great! Love the ’70s look! Thanks for playing along!